On December 14, 2017, Luxembourg Grand Ducal Court published new official photos of Grand Duke Henri of Luxembourg and Grand Duchess Maria Teresa of Luxembourg. Photos: were taken by photographer Lola Valesco. Nice pictures, I like her hair and the color of her outfit, but her face is way too photoshopped. 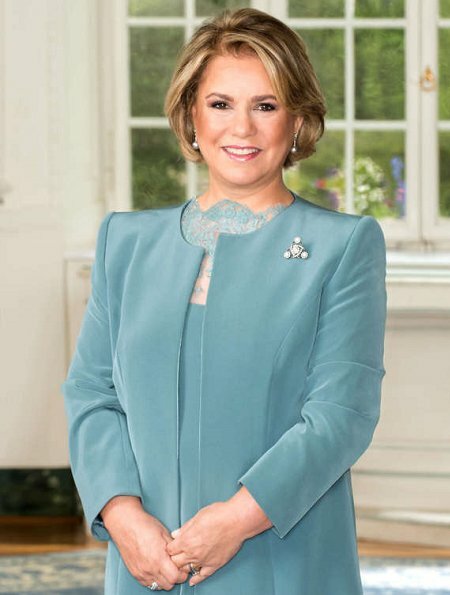 I simply don't like all that Photoshopping there currently is used on all royal pictures … but I really like GD Maria Teresa! And she has chosen a style that suits her very well, IMO. This time really a lot of photoshopping. Look at first pic, how weird that window table breaks at right end. She's so pretty!! Love the color of her outfit! het is een knap stel!!! I saw the pictures wothout her nMe, thinking “who is that lady.”? Sorry, too much photoshopping or plastic surgery. Not necessary at all, she is beautifull and that is it! Photoshop or not, she's lost a lot of weight! I don’t think she last weight at all I believe that is photoshopped also. Just look at recent pictures. She is lovely but too much photoshopping here. Beautiful colour and fabrics. Clever idea about the lace on top. Love it. 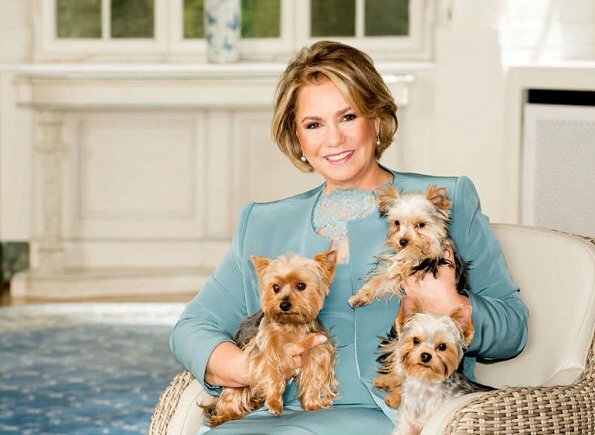 Grand Duchess Maria looks amazing!!! Brva!! !